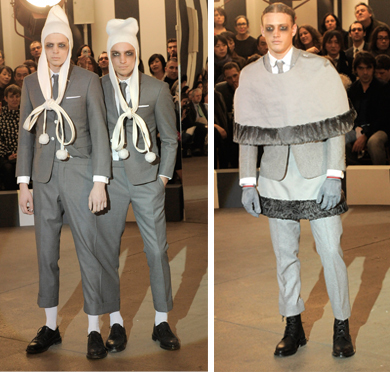 I know it’s wierd but I kinda secretly love Thom Browne in that formal shorts outfit. Those schoolboy jackets are everywhere, aren’t they? Stephens is absolutely lovely! And the students are adorable. I think having a pet would have helped me immensely these past two years at school. I would have loved it! My Mom went to Stephens too! When I was back at Cornell I had a top secret pet rabbit (Lucy) in the dorm (animals were not welcome as they were at Stephens–I should have transferred!) and all the students loved her though she broke all the rules. I think it makes the dorms feel more like home when you have a pet!